I think it's a good indicator of how much you like a product, if you repurchase it. 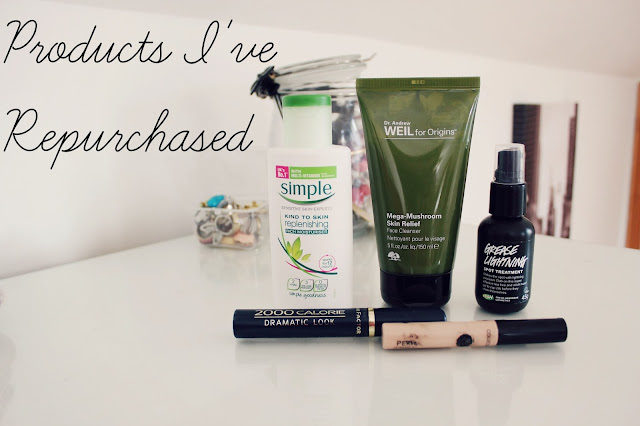 I'm constantly trying out new products so only really repurchase products I genuinely adore, so I thought I would share a few of them with you! I recently wrote a full review of the Origins Mega-Mushroom which you can read here, it is the only cleanser I have repurchased and the only one I think I will continue to repurchase. I love the way it feels on my skin, it doesn't dry it out or break out my skin. Another skincare product I love is the Simple Replenishing Rich Moisturizer, I have repurchased this so many times I can't even remember the exact amount! I love this so much it is rich but without feeling heavy or thick on the skin, it's also super affordable! I've always suffered with spots and acne, one of my holy grail items is the Lush Grease Lightening, this product is amazing, I cannot recommend it enough! I usually use this at night on any spots I have and it really reduces and calms them down. I also have the Origins Super Spot Remover and if you were thinking of buying it, check this one out as I prefer it and it is so much cheaper! Finally onto two products I always talk about, my beloved Collection Lasting Perfection Concealer and my Max Factor 2000 Calorie Mascara. The concealer is amazing, I prefer it to every single other concealer I have tried, including Mac! 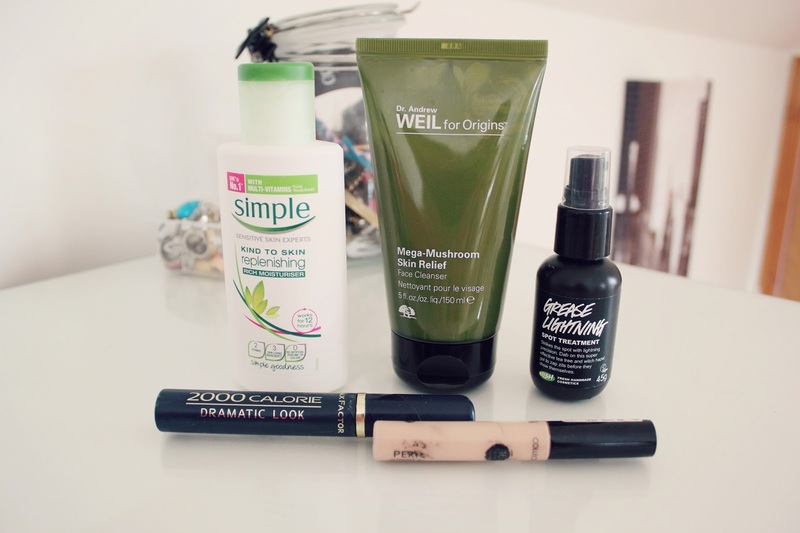 The mascara is brilliant too, it adds volume and length to my lashes without being clumpy either! Which products do you repurchase? I really love the simple moisturiser, for so long I tried to 'invest' in high end brands for skin care.. but this has been by far the most effective! The lush spot treatment stands out to me, I will have to take a look next time I am in store! I love the lasting perfection concealer, I really should repurchase too!